Garnet Hill Lodge is an ideal base location for Adirondack backcountry skiing. The region surrounding our ski touring center offers some of the best wilderness skiing and ski mountaineering trips in New York. The adjacent Siamese Ponds Wilderness Area contains almost 40 miles of mapped and marked trails. These routes offer day ski trips and multiple day winter wilderness adventures. In addition trails can be connected to frozen ponds, streams, and other winter only routes to provide an almost infinite variety of backcountry ski options. Just two of the many options are described below. 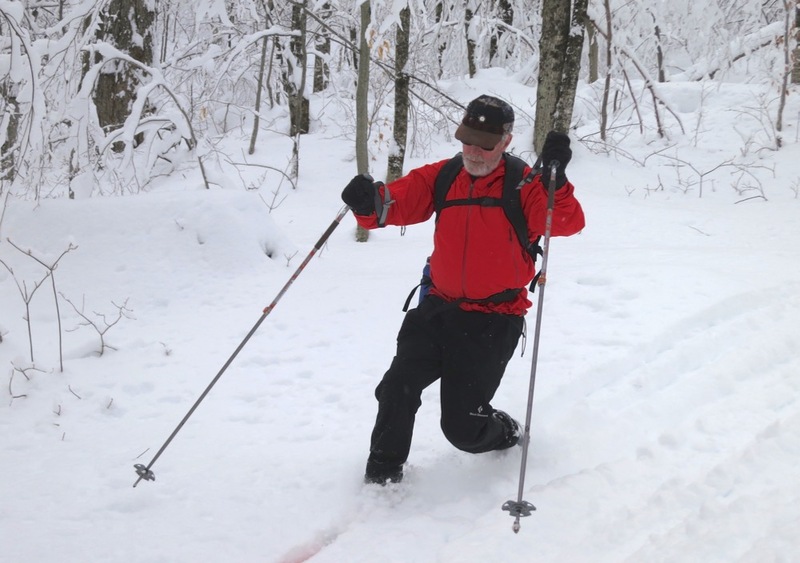 See Adirondack Ski Tours by Tony Goodwin for more touring options in the area. Botheration Pond Loop, a route that circles around the Balm of Gilead Mountain and several lesser hills is an 8 mile loop. The route begins at Old Farm Clearing and ends at the Garnet Hill cross-country ski resort. Botheration Pond is the latest of a number of great ski routes in this area. The loop combines existing trails with more than a mile of new trails and two bridges. This trip takes about 4 hrs to complete and you need to be an intermediate skier with confidence in your own skills. The Raymond Brook Ski Trail is one of the oldest ski trails at Gore Mountain. Today it’s on state land, but it is still important part of the trail network around North Creek, NY. The trail climbs at the start and goes through rolling sections at the bottom. The effort to get to the Raymond Brook Trail is well-spent. This historic Adirondack backcountry ski route drops hundreds of feet through a beautiful forest. The trip takes about 3 hours to complete and you must be a very good skier. For adventurous and advanced skiers, we can provide guided backcountry ski excursions to Puffer Pond, Hour Pond, Peaked Mountain Pond and many others destinations. Contact the Outdoor Center at (518) 251-2150 for details or to arrange a trip. We also offer weekly tours for a variety of ability levels. We stock backcountry skis and equipment to make sure you have what you need out on the trail. 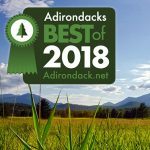 The DEC provides information on backcountry trail conditions accross the Adirondacks, but feel free to call the Outdoor Center for local conditions.